It turns out your mom was right, you are what you eat. From the moment you eat or drink something, a very complex transformation starts which has an incredible effect on your overall health. As the food comes into the body, digestion begins, which is the process of breaking food down into smaller particles which then travel through the digestive tract - also known as the gut. Think of the gut as a fine meshed net that allows these smaller nutrient rich particles to pass through and be absorbed by our bodies to deliver the vital nutrients we need to live. This net also prevents other substances from getting into the body. As these food particles move through the gut, nutrients get used, and other things like toxins get metabolized by the liver and the GI tract, and eventually will be eliminated from the body. When you have a properly functioning digestive tract, this process is efficient and you are healthy inside and out. However, in some cases, when the intestinal walls become inflamed due to irritants in foods or medications, you can develop a condition known as ‘leaky gut syndrome’. This is where the net in your gut loosens because of the inflammation, and creates larger holes in the mesh. These larger spaces allow some of these toxins and undigested food wastes to escape the digestive tract and enter the body through the bloodstream. There are many triggers that can lead to a leaky gut - these can include parasites, infections and pollutants, but can also be caused by common foods such as sugar, alcohol, dairy and gluten - which is one of the most common triggers. But inflammation can also be caused by external forces like stress and age, and even genetic predisposition. If the body were a tree, the root system would be similar to the gut - and when the root system works properly, the branches and leaves are healthy, and the tree is strong and able to ward off parasites and disease. When the root system becomes compromised, and the nutrients from the soil and being not delivered efficiently to every part of the tree, this affects the tree and you notice the results externally. 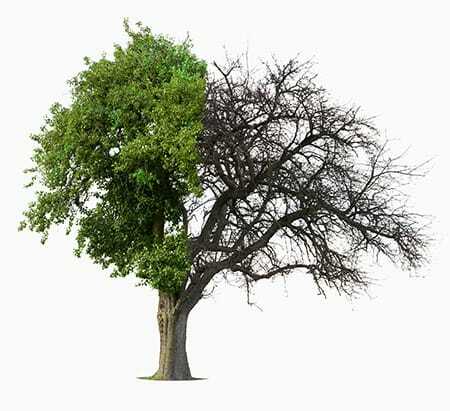 The tree becomes weaker and less able to fight off disease and parasites, and visually the tree appears unhealthy. When we are healthy internally, it manifests externally. And, like that tree, when we are not healthy on the inside, there are many indications on the outside to alert us of these problems. 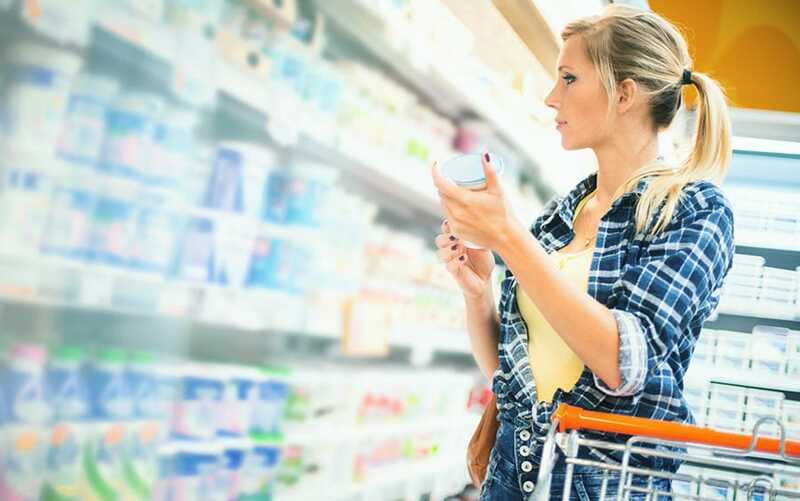 Left untreated, these irritations and inflammation can lead to food allergies, immune abnormalities and eventually autoimmune and chronic conditions. And while the main condition is an imbalance in the gut, the symptoms manifested are numerous and in most cases may seem isolated or totally unrelated to anything else - especially when there is an undiagnosed cause within the gut. Symptoms can be very common things like aches and pains, fatigue, headaches, migraines, acne, gas and bloating - or even more serious issues like irritable bowel, Crohn's, thyroid conditions, hormone imbalance, epilepsy, autoimmune disorders and more. The problem is the current medical model tends to focus on symptom management. Unfortunately, this approach relies heavily on medications and antibiotics. While these may provide temporary relief of the symptoms, they also tend to further contribute to the underlying cause of the condition. This is where functional medicine can provide a better solution to not only rid the body of the symptoms, but to also treat, and heal the root of the condition. Using an approach known as the 5Rs, functional medicine aims to find the stressors—both internal and external—eliminate them, and make corrections to allow the body to come back into a healthy state. Determine the stressors that are causing or contributing to the condition. In some cases, this means incorporating an elimination diet to temporarily remove the foods that can cause the issue; in other cases, parasites, unwanted bacteria or yeast overgrowth are removed; and in others, eliminating environmental toxins like heavy metals or chemicals is needed. Once the stressors are removed, they are replaced with elements that are needed to restore proper digestion and nutrient absorption. This is done by re-introducing digestive enzymes, and restoring proper digestive acid levels which have become depleted by the condition. Create a healthy and balanced biome through probiotic foods and supplements. Probiotics are beneficial microorganisms that are an essential part of a healthy digestive system. When antibiotics are used, these tend to kill of both good and bad bacteria. By reintroducing these bacteria with the right foods and supplements, the biome is replenished and the gut begins to function normally. To keep this process working efficiently, the probiotic bacteria needs what are known as 'prebiotics' which they feed on. Prebiotics can be found in many foods like onion, banana, garlic, flax, oats, and many other foods. Provide key nutrients that help the lining of the gut to heal itself. These nutrients are often missing or severely limited in the traditional Western diet. This stage will provide the proper levels of antioxidants, essential fatty acids, and essential minerals. Restoring and rebalancing those levels is an important step toward optimizing gut health.. Balancing nutrient and beneficial bacteria levels is only one part of the process. Ensuring you are getting good sleep, exercise, and reducing or eliminating stress in your daily life will help to contribute to your overall health. Dr. Kristen Lindgren has helped hundreds of patients heal leaky gut syndrome, and improve their overall health from within. And start on the path to better health. Many common foods can iritate the lining of the gut causing inflammation that leads to leaky gut syndrome. Some of these can include grains, gluten, refined flours, sugar and sweeteners, dairy products, caffeine, excessive alcohol consumption, and many more. Aside from avoiding certain foods, you can also make some lifestyle changes that can have a significant impact on your digestive health. Everyone's sleep needs are different, but most people will require between 6 and 8 hours of sleep each night. Getting the right amount on a consistent basis has been shown to improve overall mental and physical health. We all have stress, and our bodies have a hormone called Cortisol that helps to balance that out. This becomes more difficult when we are in a constant state of stress, and can lead to chronic inflammation an imbalances throughout the body. Even light to moderate exercise has exponential benefit to the body. Regular excercise helps boost metabolism, increases brain function, helps with hormone levels, and contributes to improving your mood. Probiotics are beneficial bacteria that can be found naturally in foods like yogurt, sauerkraut, kombucha, kimchi, miso, and other fermented foods. Once they have established in the gut, these beneficial bacteria need prebiotics to feed on - prebiotics come from soluable fiber, and can be found in apples, garlic, onions, asparagus, chicory root, oats, and many more. One thing to note – cooking will destroy these prebiotic nutrients, so it's best eat most of these foods in their raw form.